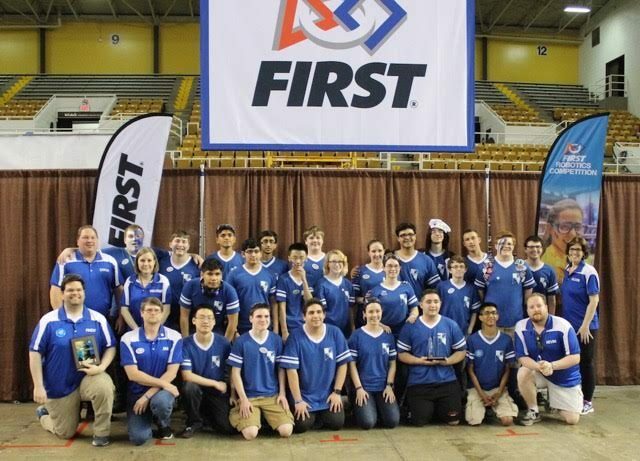 Bucks County Courier Times - "Bensalem robotics team heading to international competition"
FIRST STRONGHOLD is played on a 27 ft. by 54 ft. field. Each alliance commands one tower, five defenses, and a ‘secret passage’ which allows their robots to restock on ammunition, called boulders. One defense in each alliance’s set of five, the low bar, is a permanent part of the field. Three defenses are selected strategically by the alliance prior to the start of their match. The final defense changes periodically by audience selection. Each match begins with a 15-second autonomous period in which robots operate independently of human control. During this period, robots attempt to cross opposing defenses and score in the opposing tower.